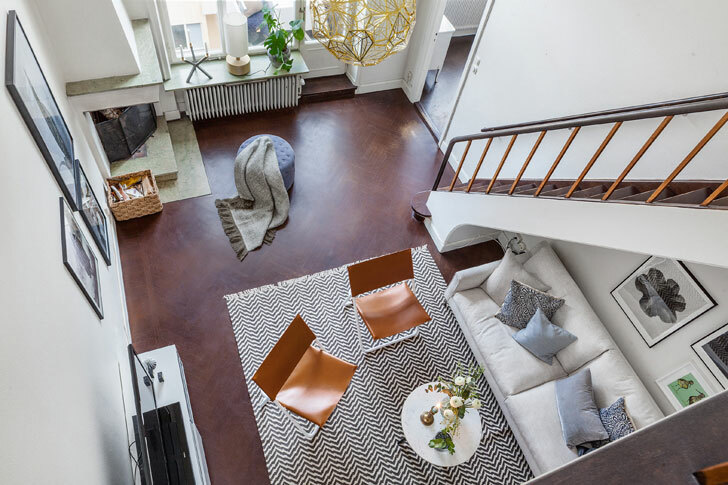 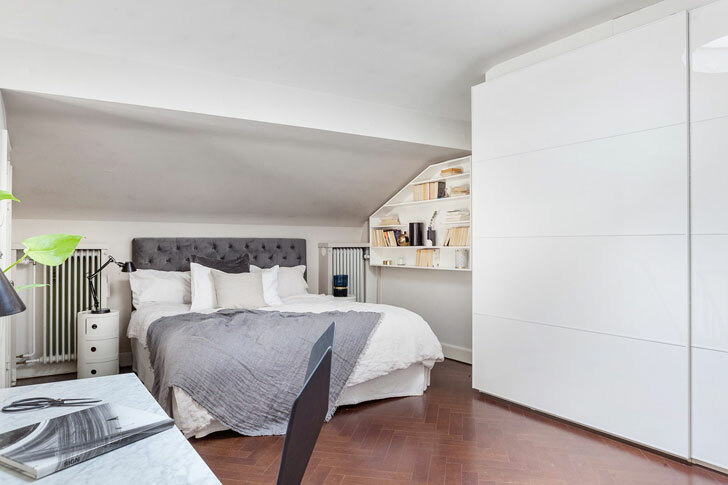 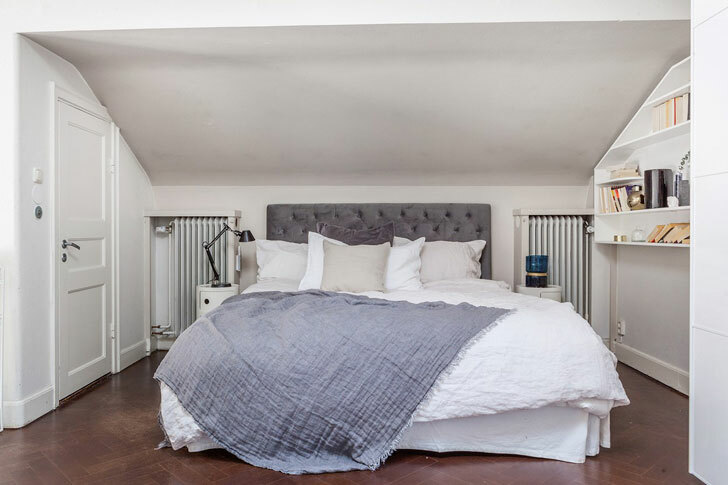 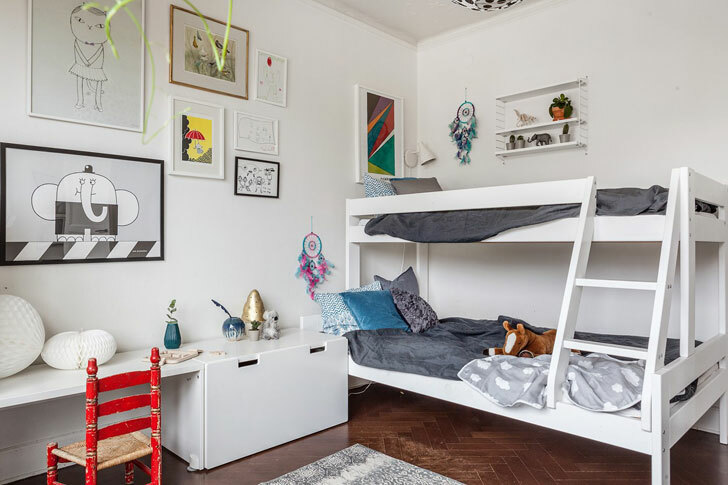 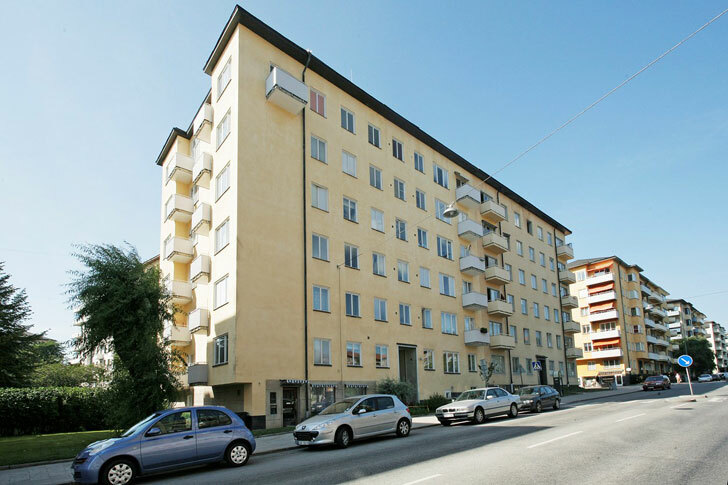 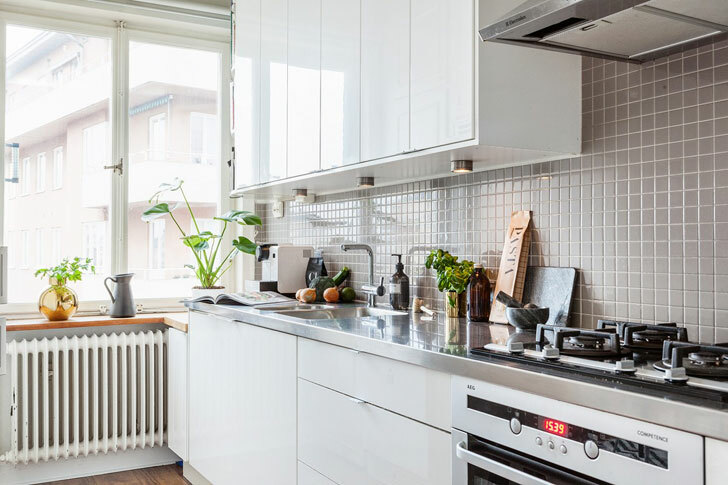 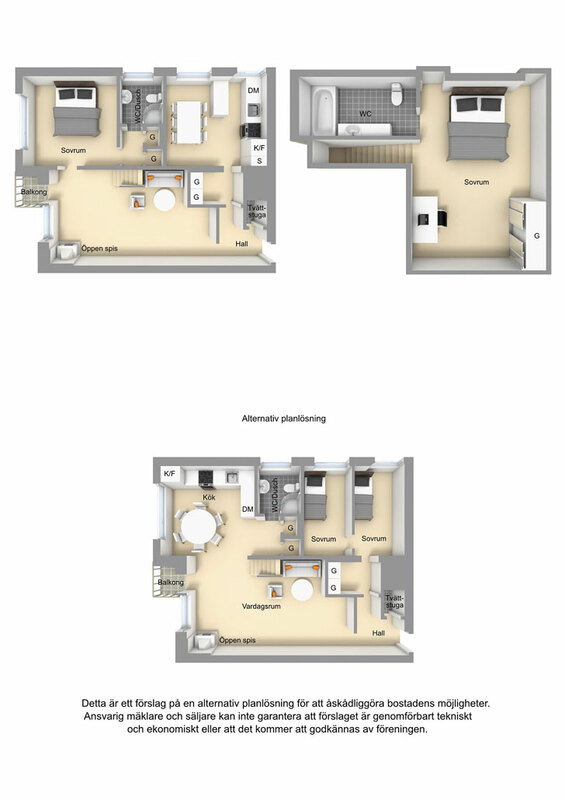 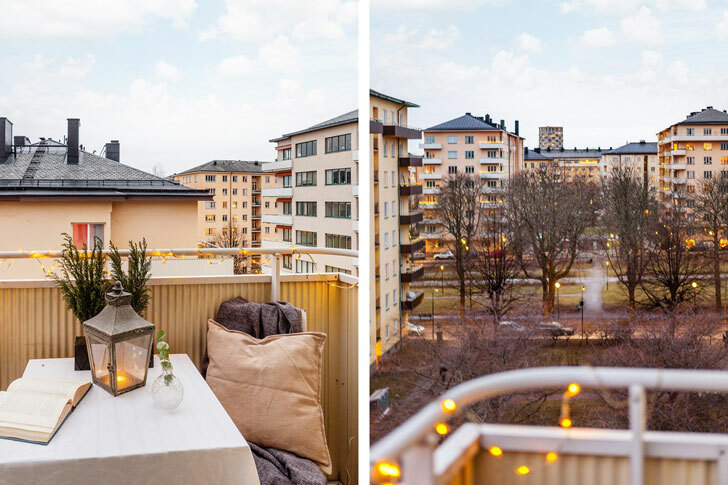 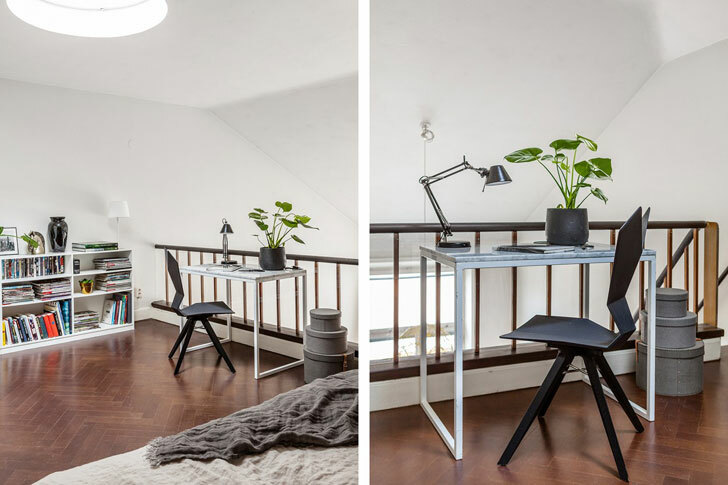 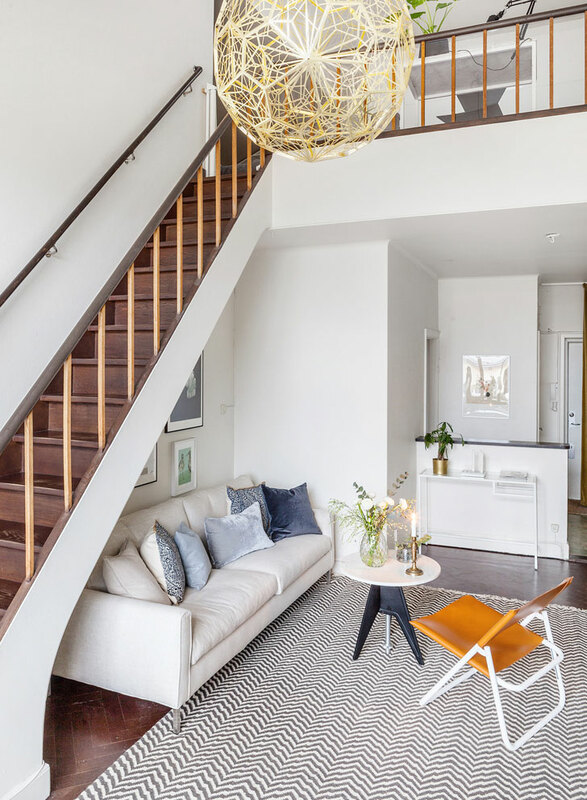 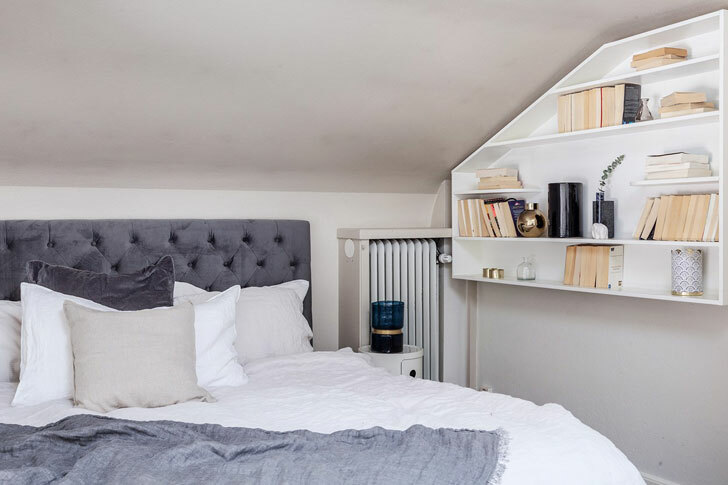 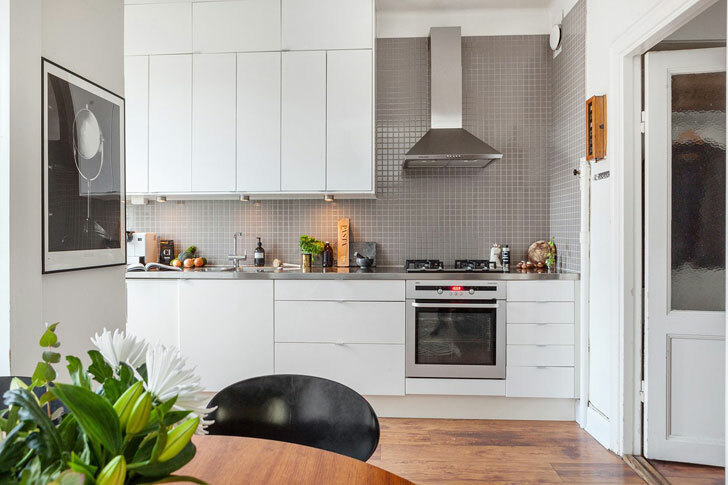 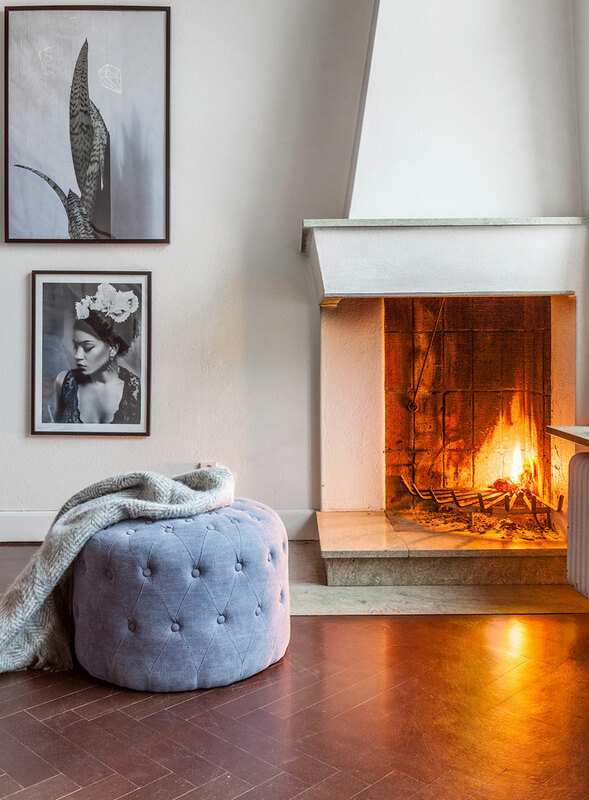 This two-level apartment is located in one of the sleeping quarters in Stockholm. 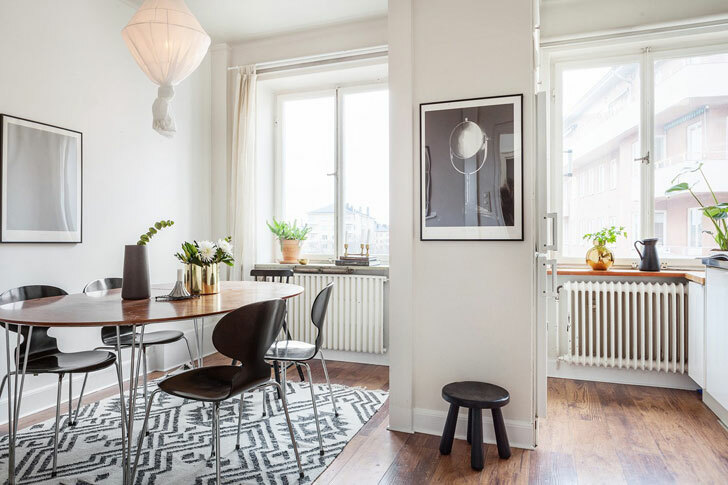 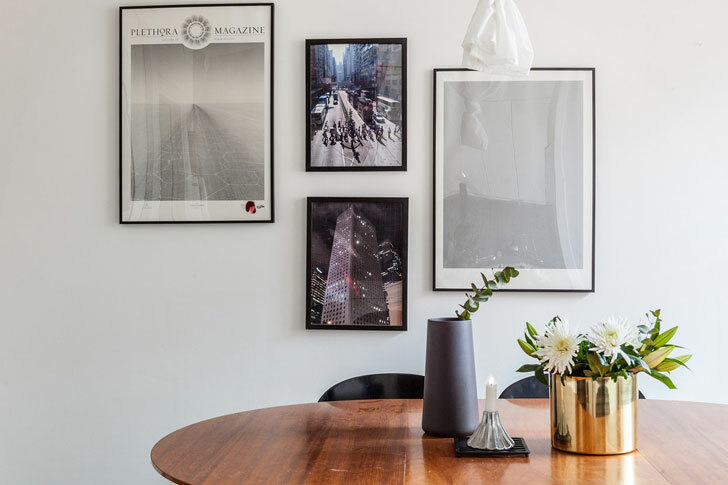 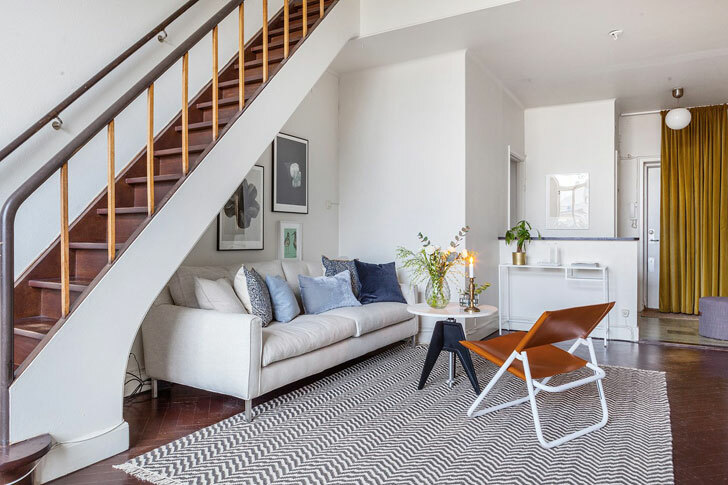 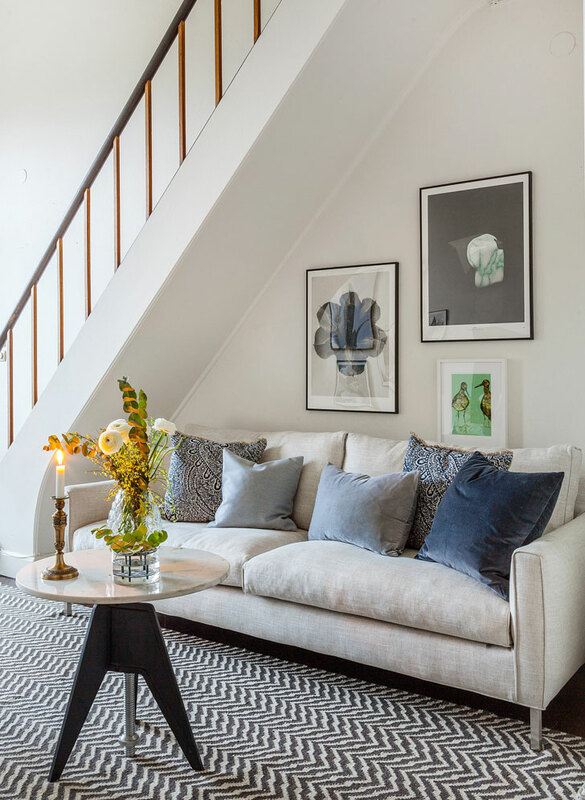 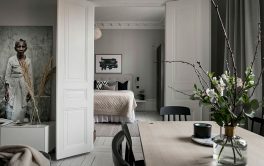 The flat is set on two upper floors of the ordinary apartment house but interiors is filled with light and Scandinavian charm. 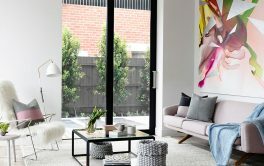 Great budget living!